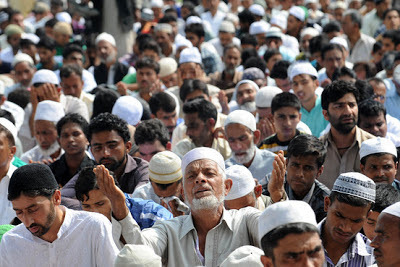 As such apart from other things on this trend of Muslim youth being arrested a good amount of documentation and people’s investigation has been done by various human rights groups. ANHAD held a people’s tribunal and published it report, ‘Scapegoats and Holy Cows’. 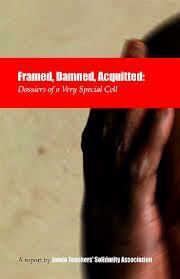 Lately a significant report by Jamia Teachers Solidarity Association led by Manisha Sethi has published 'Framed, Damned, and Acquitted’. This report in a analytic way tells us the stereotypical manner of police investigation and actions and the plight of those who were arrested particularly by the Delhi Police Special Cell on charges of these youth being part of terrorist outfits. In most of these cases they were acquitted by courts. This report as such should have created awareness about the police methods and a pressure on police to mend its ways. The report also points that the biased atmosphere has been created as media is publishing the police version uncritically. This is in contrast to the journalistic ethics where the official versions have to be checked, cross checked and examined critically before publishing them. The human rights groups also have been struggling for getting compensation to these victims in good measure but to no avail so far. And then the question comes up as to what about the police officers who are guilty of these acts of wrongful investigation and implicating innocent youth, ruining their life in a serious way? Should they not be punished? one thing I think we should do is focus more on containment,rehabilitaion and deterrence of criminals than on extreme punishment.